Join Us - Come Play Wheelchair Basketball! 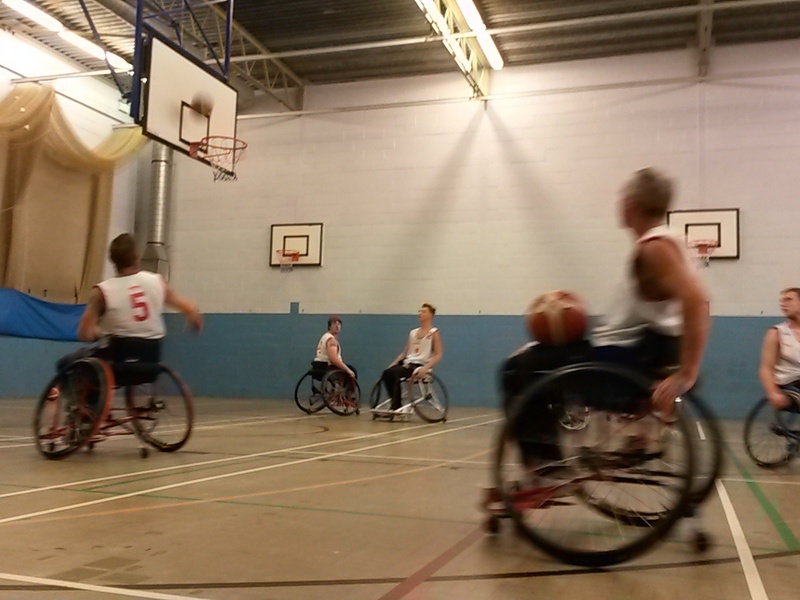 From juniors to adults, a diverse age group are welcome to play Wheelchair Basketball. It is a great physical workout in a safe and welcoming social setting: it's a great sport for life. Meeting new friends and discovering new places, wheelchair basketball is about more than what takes place on the court. Initially a rehabilitation and recreational activity for spinal cord injured patients, it quickly developed into a recognised sport, played all around the world. Wheelchair basketball embraces a wide range of disabilities including those with a lower limb physical impairment, cerebral palsy and multiple sclerosis to name just a few. You don’t need to be a wheelchair user to get involved within wheelchair basketball as non-disabled are welcome to play and compete – making it a great sport to play alongside family and friends. Do I need to be a wheelchair user to be able to play the game? No, Wheelchair Basketball is played by able-bodied and disabled players, we can explain this in greater detail how this all works (by a system called classifications) with you if needed. Able bodied players are eligible to play in divisions 1-4, junior league and women's league. 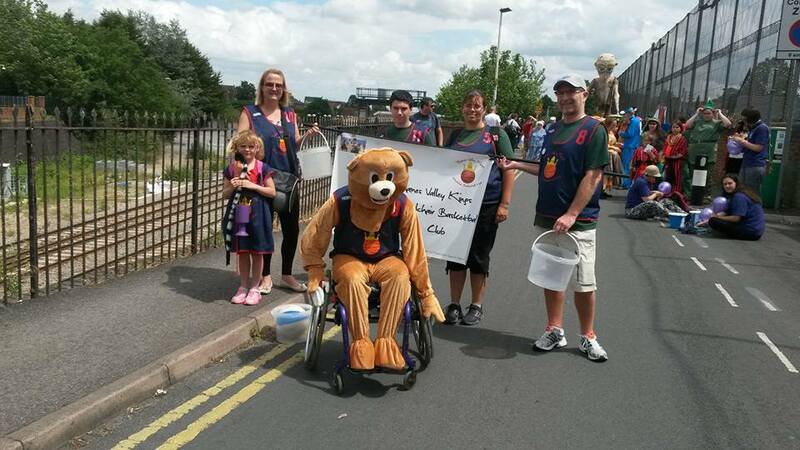 Virtually everyone who can conceivably play wheelchair basketball is encouraged to do so! The club offers training facilities for those 8 years old plus (there is no upper limit) - Contact us for more details on competitive restrictions. No - Everyone is welcome! Do I have to have my own wheelchair to play? No, we hold a number of stock wheelchairs that members are free to use - some long term members do have their own wheelchairs to play in, and if you become a long term member and would like your own chair we can assist you in raising the necessary funds in which to buy one. Are there any restrictions with the disability I have? 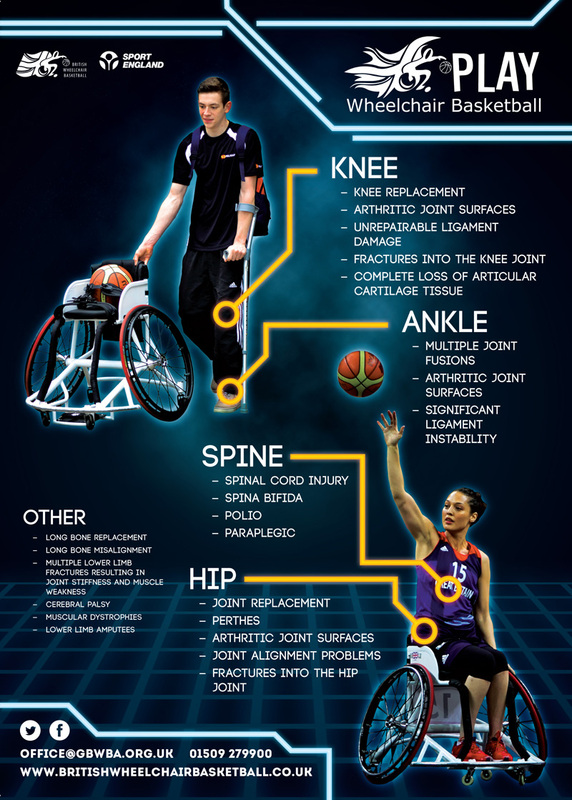 A very common question we get, so much so that British Wheelchair basketball has provided this poster on common disabilities that they recommend can play the game - This is by no means a restricted list and we suggest that you contact us for more information if you are worried about anything. A very common question we get, so much so that British Wheelchair basketball has provided this list on common disabilities that they recommend can play the game - This is by no means a restricted list and we suggest that you contact us for more information if you are worried about anything. If you would like to take on a new challenge, get the opportunity to meet new people and become part of your community, we can offer you in return, a sense of Well-being, help you with your personal development and above all have fun!